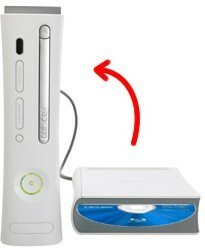 Since the HD DVD wars are over with Sony being the obvious winner, Microsoft will be coming out with a Blu-ray integrated Xbox 360. This might make the videogame wars a bit interesting.. well the battle between Xbox 360 and PS3. Sony wins both ways though since Blu-ray is their technology. I still like my xbox 360 the way it is. I'll have a PS3 soon anyways so my Blu-ray needs will be taken care of. Of course this is great news for anyone without a 360. More on Engadget.